It is when you recognize the need, which is when you start looking at the opportunities and coming up with a plan that fits in right, which helps you to either build a whole new business or expand your current business. A true entrepreneur never misses to identify the opportunity and use it his favor. Currently, we are living in a world where due to constant change and technology moving so fast, it is changing the way of how business works. There are a few entrepreneurs find it difficult to implement the idea they have of setting up a business, but now all you need to do is see the right opportunity and dwell according to that and utilize the currently available resources. Greece is not only a beautiful place also is the country which has the will power to sustain good and bold politics and economics also a welcoming place for investors with the highly skilled workforce and availability of natural resources. Greece is one of the top tourism destinations in the world; also it is one of the important sectors for Greece as it is the main pillar of the Greek economy. It is estimated to rank much further which makes it a great business opportunity and almost 18% of total employment comes from Greece tourism as it is looking out for the long term which right now is also creating investment options. It has the strategic placement which makes Greece play an important role in the region of the energy sector which in hand is easier due to the natural resources which are available in Greece. However, due to more development in infrastructure projects, it becomes more important and it is the right time to invest in the Energy sector in Greece. The number of ICT business opportunities is expected to increase in the coming years. Business opportunities will be developed due to establishing software development labs, data centers, start-ups, distribution of IT devices and investments into R&D. Logistics centres, investing into Greek ports and rail and road transport investments are your opportunities in Greece due to crossroads it is highly attractive and people are willing to invest as it going to increase the trade flow in a humongous manner. It is a good time to enter in Pharmaceuticals industry as retailer or distributors as it has been growing rapidly in Greece recently. You can have a secure license and grab the opportunity from starting with being a retailer to becoming manufacture of this industry if you want to have a handy business to set up in Greece. It is a Maritime nation by tradition; it has always been the key element of Greek economic activity. Also, it is one of its Greece's main assets. It helps them bring a brand annual growth annual growth, while in 2017 it was clearly supported by global trade with the help of investment to increase industrial production in Asia. 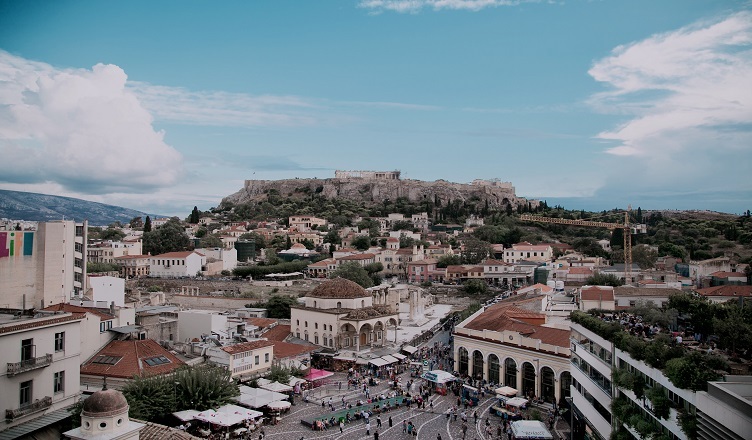 Thus, the constant improvement and the gush of industries with a lot of opportunities online as well as offline (which also has a vast reach) all make Greece a lucrative location for setting up a business. It’s time you seize the opportunity and execute a successful business in Greece because it has numerous opportunities in most of the sectors. We will help you through the process after you find the right opportunity, you need not wait for a longer time and miss your chance, Business Setup Worldwide helps entrepreneurs and investors establish their company in Greece through incorporation, registration, and legal consulting services. Our advisors take care of the entire Banking, Visa, Legal, and Licensing formalities, in accordance with the Greek laws. We guide you through your company formation, with your business objectives at the centre of our operations. If you find the right opportunity we’d be happy to help you with further process feel free to contact us!